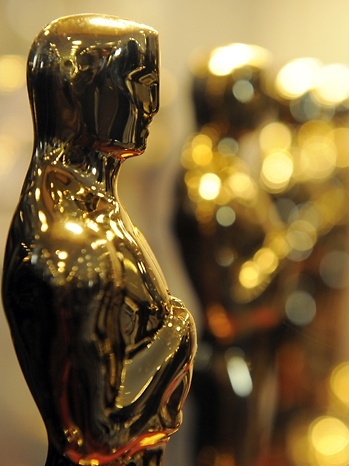 An Oscar statuette that went missing over thirty years ago may finally have resurfaced in a shady online transaction. Have you ever taken something incredibly valuable to the cleaners, only to be told it had mysteriously disappeared? It's a frustrating and embarrassing experience for anyone involved, all the more so when the valuable item is an Oscar statuette belonging to the Academy Awards. Such was the case in 1979 when Aaron Rochin turned in his Academy Award due to reported blemishes. The Academy replaced Rochin's award and brought the original to its facilities for repairs, where it promptly vanished without a trace. Fast forward to present day, and a statuette bearing a remarkable resemblance to Rochin's Oscar has finally turned up... thanks to an eBay auction. The possible candidate for the missing Oscar came to the public attention after James Donne ran an auction titled "Rare Pre-1950 Academy of Motion Pictures Arts and Sciences OSCAR Statue Award!" The Oscar was sold to Edgard Francisco for $25,000 and, according to Francisco, promptly taken to a collector to verify its authenticity. Upon being told the item was surely a fake, Francisco obtained a partial refund of $15,000, got rid of the statuette, and presumably tried to forget about the whole affair. But the Academy of Motion Pictures Arts & Sciences had other plans. It turns out that the "Pre-1950" date is actually a misreading of an ID number printed on the statuette. Donne openly admitted the number was "1928", which happens to be the same ID of Rochin's original Academy Award. What's keeping this particular story from becoming another tale about interesting things appearing on eBay is the fact that the Academy is actually very protective of its intellectual property. Suspecting that Francisco's mysterious Oscar collector is nothing more than a convenient cover story, the Academy is suing both buyer and seller alike. Even if the statuette turns out to be fake at this point, the pair would still be in hot water. Donne and Francisco could be liable for up to $150,000 in damages for willful copyright infringement alone, not counting damages for the value of the statuette itself. It just goes to show that, in some cases, you actually can't get everything on eBay.